BCDB Rating: 1.5/5 Stars from 2 users. This page has been viewed 11 times this month, and 1417 times total. Cartoon Characters: Bart Simpson, Homer Simpson, Marge Simpson, Lisa Simpson, Maggie Simpson, Mr. Burns, Smithers, Dave Shutton, Inspector, Darwin, Moe Szyslak, Mary Bailey. 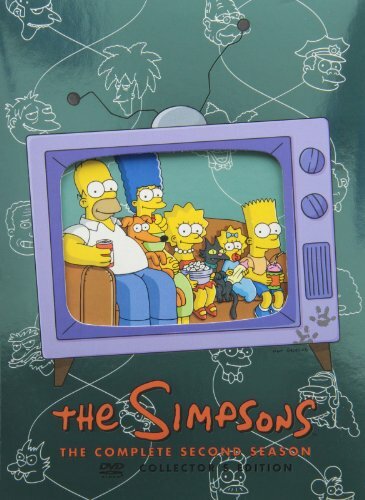 Vocal Talent: Dan Castellaneta (Homer Simpson), Julie Kavner (Marge Simpson), Nancy Cartwright (Bart Simpson), Yeardley Smith (Lisa Simpson), Harry Shearer (Mr. Burns, Smithers, Dave Shutton, Inspector, Darwin), Hank Azaria (Moe Szyslak), Maggie Roswell (Mary Bailey). Produced By Richard Sakai, Larina Jean Adamson. Executive Producer: James L. Brooks, Matt Groening, Sam Simon. Written By John Swartzwelder, Sam Simon. Developed by: James L. Brooks, Matt Groening, Sam Simon. Executive Story Editor: Jon Vitti. Color Design & Background Painting: Gyorgyi Peluce, Carol Wyatt. Character Design: Matt Groening, Dan Haskett, Dale Hendrickson, Sam Simon. Storyboard: David Silverman, Kent Butterworth, Steve Moore. Layout Artists: Carlos Baeza, Mike Kazelah, Bronwen Barry, Sue Kroyer, Tibor Belay, Istvan Majoros, Moon Hwan Choi, Jim McLean, Tom Coppola, Swinton Scott, Steve Fellner, Eric Stefani, Ray Johnson, Gregg Vanzo, J.C. Wegman. Cleanup Artists: Anthony Bell, Judith M. Niver, Michael Camarillo, Joe Russo, Nancy Kruse, Eric Stefani, Don Judge, Kim Taylor, Eric Keyes, Sherry Wheeler, Carol Wyatt. Animation Produced by: Klasky-Csupo, Inc.
Supervising Animation Director: Gabor Csupo. Animation Producers: Sherry Argaman, Margot Pipkin. Animation Production Managers: Sherry Argaman, Barbara Donatelli. Animation Checkers: Laurie Hanson, Maxine Markota, Nikki Vanzo. Main Title Design: David Silverman. Main Title Animation: Kevin Petrilak. Animation Camera: Wm. J. Hedge, Jim Keefer, Karen Shaffer, Wesley Smith. Sound Effects Editor: Travis Powers. Post Production Audio Facility: Todd-AO/Glen Glenn Studios. Post Production Facility: Laser Edit, Inc.
Production Assistants: Donavan Brown, Todd Jacobsen, Eleanor Mills. Negative Cutter: D&A Negative Cutting. Video Transfer: Richard Cassel, Unitel Video. Korean Production Company: Akom Production Company. Assistants to the Executive Producers: Daria Paris, Patty MacDonald, Julie Stedmon Smith, J.D. Maria. Assistants to the Producers: Leslie Richter, Robert Cohen, Ian Deitchman, Peter Kwong, TJ Muncan, Todd Stein, Lana Redd Lewis. Assistants to the Associate Producer: Lisa Stewart, Michael McCusker. Post Production Coordinator: Joseph A. Boucher. Overseas Animation Directors: Rick Bowman, Mike Girard. Executive in Charge of Producton for Gracie Films: Michael Stanislavsky. Executive Creative Consultant: James L. Brooks. The Persons in this film are fictitious. Any similarity to actual persons or events is unintentional. Twentieth Century Fox Film Corporation is the author of this motion picture for purposes of copyright and other laws. This motion picture is protected under laws of the United States and other countries. Unauthorized duplication, distribution or exhibition may result in civil liability and criminal prosecution. The Simpsons and the Simpsons characters, TM Twentieth Century Fox Film Corporation. Do you have anything to add to this page? Have we made any mistakes... or do you have any additional information about Two Cars In Every Garage, Three Eyes On Every Fish? If so, we would love to hear from you. Please send us a quick note with your additions or corrections to this page, and we will make the corrections as soon as possible! In order to keep his nuclear plant from being closed down due to numerous violations, Montgomery Burns decides to run for governor. Do you love Two Cars In Every Garage, Three Eyes On Every Fish, or do you think it is the worst cartoon ever? Let us know what you think! Surely you have an opinion... so share what you think. Take a minute and post your own comments about this cartoon here. Two Cars In Every Garage, Three Eyes On Every Fish by Big Cartoon DataBase is licensed under a Creative Commons Attribution-NonCommercial-ShareAlike 4.0 International License.